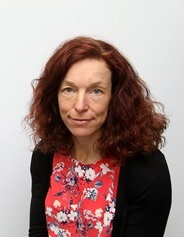 Cathy Atkinson is Curriculum Director of the Doctorate in Educational and Child Psychology Programme and is also an HCPC registered educational psychologist. Research interests include motivational interviewing, educational psychologists and therapeutic interventions, how children access their right to play, supervision and human givens therapy. Care leavers’ views about transition: a literature review. Developments in Motivational Interviewing – how have these affected practice?